Gift a Mini-me this Valentine's day #collab / Gee Whiskers! I really love giving gifts and nothing is more exciting to me than finding the perfect gift for someone. I try my best to find gifts that are different and something that the person can treasure for years to come. Mini-me recently approached me to do a collaboration with them for Valentine's Day and I just couldn't turn down the opportunity to build a mini-JP. Mini-me is an online website that allows you to design your own lego figurine - from the hair all the way down to the accessories. There are literally hundreds of lego parts to choose from so you can really capture a person's personality perfectly with one of these little figurines. The website is easy to navigate and once you have selected all your parts, the checkout process is super quick. The overall cost varies based on the parts that you choose - some parts are as little as R15 and other can go up to R115 . So you can play around with pieces to suit your budget and don't have to spend too much on creating a completed person. One thing I really like is that while your order is being processed you receive emails update and know when it has been shipped. The service is really great and I received my order within a few days. The personalised lego figurine is packaged in a cute little plastic container to ensure that your gift arrives safely. 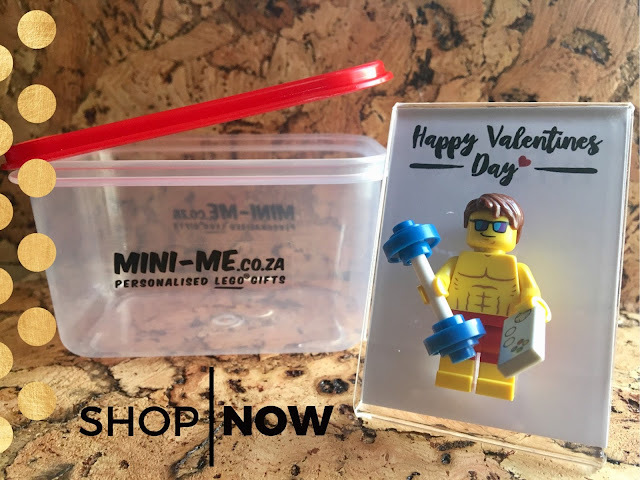 At the moment Mini-me has a Valentine's Day themed stand, container and gift bag to help you create the perfect gift for your loved one. 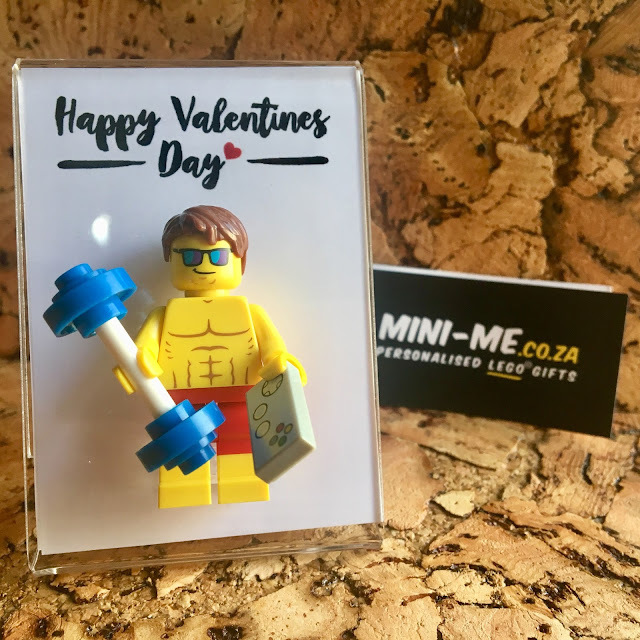 I discovered mini-me.co.za back in December 2016 when I had a gift made up for my sister. She was absolutely thrilled with it and is so protective of it - it is quite funny. It really makes such a special gift because of the thought you put into creating one of these. Mini-me has a loyalty program that rewards you 10% back on your purchases made. This means that your next gift will cost you less. It is so much fun to create these gifts that you find yourself wanting to create more little mini-me's of people you love. If you have any questions regarding my experience please leave a comment down below or you can always message me on Twitter or Instagram (I am gee_whiskers on both platforms).